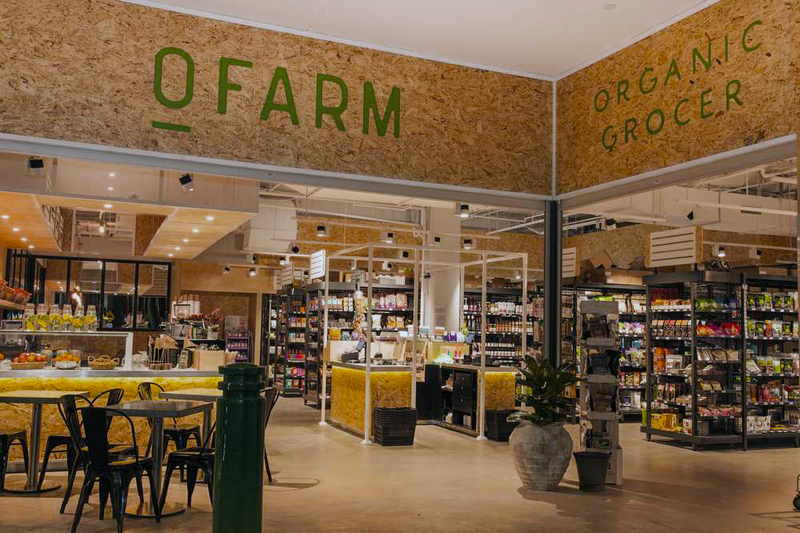 O Farm is an organic grocer focusing on raw and vegan food, being served in the cafe and a boutique grocery store. We treated the industrial base build architecture with an injection of plywood – namely OSB board which created a warm, monolithic form and raw texture to the space. On the perimeter, we created a continual OSB band, as an architectural element at high level. 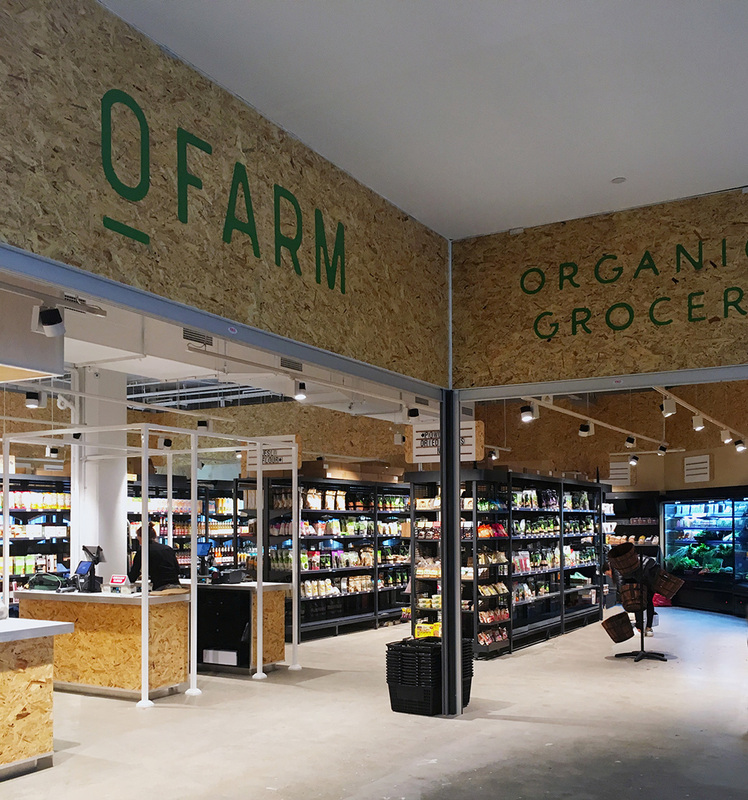 Track lighting, simple freestanding steel racking and polished concrete slab combined with a simple graphic design and signage throughout maintained the focus to be on the produce and customer experience.